Growing Groceries Classes Every Spring and Fall! 2019 Spring Growing Groceries class registration now open! Six Monday afternoons, starting Feb 25th, 2019 from 2:00 – 5:00 PM. Located at the Food Coop Annex, 2110 Lawrence Street, Port Townsend, WA, 98368. Field trip dates are TBA. Interested in growing your own food this year? Join Master Gardeners and seasoned gardening experts for a fun filled six – week class at WSU! 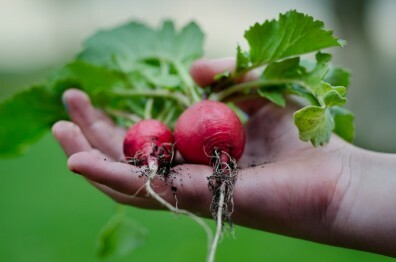 Dig in and get your hands dirty with hands-on, science-based skills for growing vegetables suited for your individual space. You will also have many opportunities to practice hands-on skills and have your specific questions answered by enthusiastic local gardeners. Spring ~ Learn about your soils, seed starting, best cultivation practices, pest management and composting. Questions? Please contact at Bridget Gregg, bridget.gregg@wsu.edu or 360-379-5610 x 210.